Perfection is what I am always trying to accomplish when I am cooking. If something doesn't taste or turn out right, I will drive myself crazy trying to make it perfect. I needed to make something quick and easy tonight because I had plans to go to the movies. That is why I made breakfast for dinner. 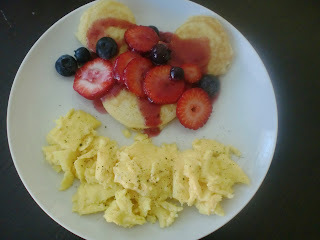 We had: Perfect Pancakes shaped like Mickey Mouse, Perfect Scrambled Eggs, and Homemade Berry Syrup. Delish! My deceased grandfather (we called him Dagin, pronounced Dog-in, my older sister made it up) had a life long love affair with Mickey Mouse. Supposedly they shared the same birthday. I have early memories of my grandfather singing M-I-C-K-E-Y M-O-U-S-E, I also remember his famous Mickey Mouse waffle iron, he bought at Walt Disney World. On our recent trip to Disney World, I scoured the stores looking for a similar waffle iron, but had no luck. 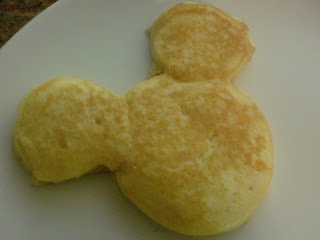 I did find a Mickey Mouse shaped pancake ring, and you bet I bought it! Tonight was my first try at making MM waffles, and the boys adored them. To go on those pancakes I made homemade berry syrup with fresh strawberries and blueberries, it was outrageous. There is some leftover, and I may drink it for breakfast (sippin on some sizurp). In order to add some protein to our dinner, I also made scrambled eggs. Making scrambled eggs is an art form, I will give you some hints below. To see the type of eggs I prefer, click here. Mix together the flour, baking powder, sugar, and salt. Add the egg, milk, and oil. Stir until just combined. Let rest for at least 10 minutes. Heat a large nonstick pan or a griddle over medium heat. Spray with non stick spray and pour batter onto hot grill in whatever size pancakes you desire. Flip once the edges are set, and the top has lots of bubbles. Cook on the other side for another minute until golden brown. Remove the strawberry stems. Chop the strawberries and mix with the blueberries, and set aside. In a small saucepan bring the sugar and water to a boil, stirring. Gradually add the berries. Lower heat to a simmer, and simmer for 10 minutes. 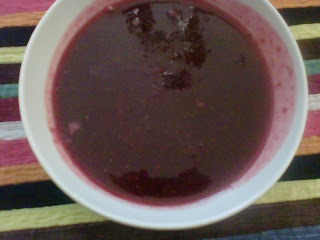 Remove from heat, and use an immersion blender to puree until smooth, can also use a blender. Place back on heat and bring to a boil. In a small bowl mix together the cornstarch and ice water. Once the syrup is boiling stir in the cornstarch mixture. Stir constantly. Boil for 1 more minute and then turn off the heat. Voila! Store leftovers in the fridge. 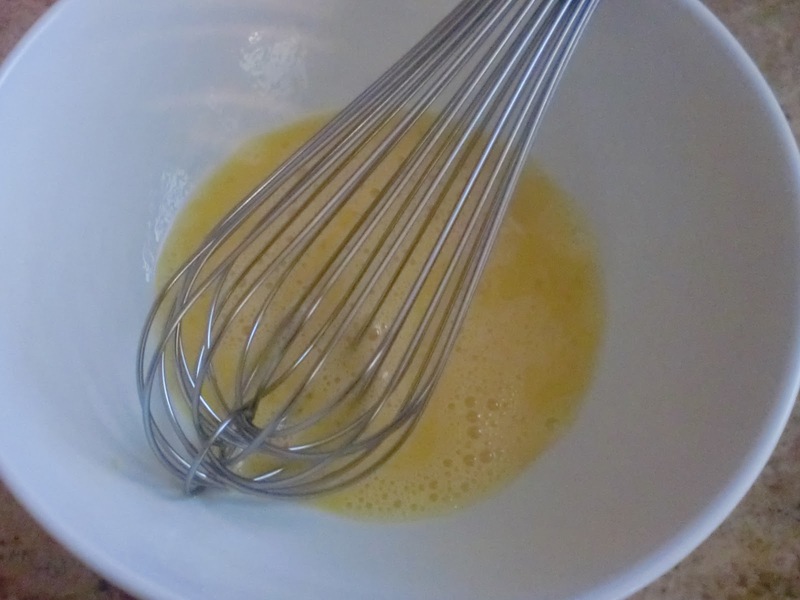 Whisk the eggs until they are pale. Add the milk and whisk vigorously. Heat a nonstick saute pan over medium low heat and melt butter or margarine. Add the eggs, and turn heat to low. Gently stir every so often until completely cooked, to your liking. Don't scramble too much, you want the curds to be on the bigger side. Our dinner was all perfect, the food, the ease of cooking, and watching my children clean their plates gave a me a deep satisfaction.